Roll out pizza base. Spray pizza pan with cooking spray. Spread pizza base over pan and bake for 8-10 minutes. Cover base with Italian tomato passata. Sprinkle with some dried thyme. Scatter topping all over. 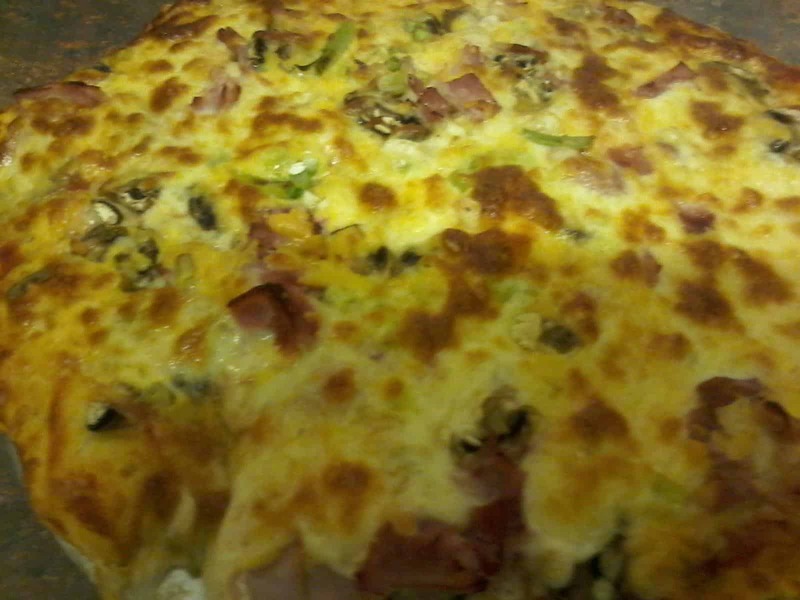 Cover with mozzarella and cheddar cheese. Sprinkle some oregano. Bake at 180 degrees.